Three brothers have their moments, and they're all part of forging a friendship that lasts a lifetime. 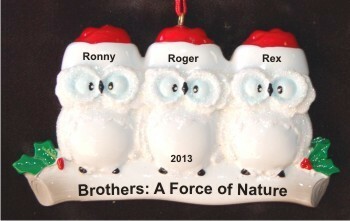 Celebrate a trio of "bros" who are best buddies with the winter owls 3 brothers personalized Christmas ornament. It stars handsome birds in Santa caps with holiday holly sprigs that add festive color. Give us the guys' names and the sentiment you want included, and one of our artists will paint them on by hand using good-looking lettering to create a custom keepsake that will be enjoyed each year it is displayed on the tree. 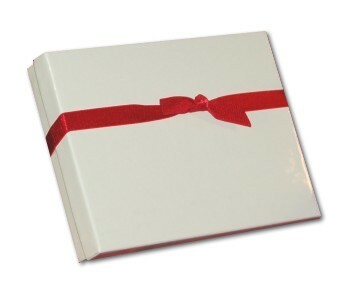 The three owls brothers personalized Christmas ornament ships in our plush velvet gift bag, a Russell Rhodes exclusive. For sons Dec 16, 2014 John G.